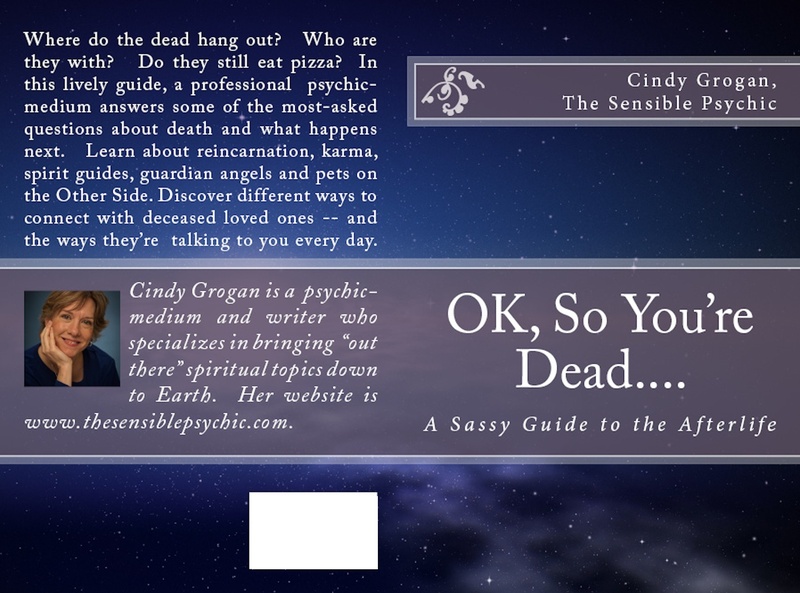 This entry was posted in Angels, Mediumship, Psychics, Reincarnation, Seances, spirit guides, Uncategorized and tagged connect with the dead, OK So You're Dead book, signs from the dead, the afterlife, the other side, using a medium. Bookmark the permalink. Love your book, Cindy. As a writer myself, I really appreciate your upbeat style and delightful sense of humor! Thanks, Mary! I appreciate the nice words. I am loving your website! Curious, will your book be offered as a kindle book? Hoping to avoid adding more physical books to my space. Thanks! Thanks, Jeanine. Yes, the book is available on Kindle. Here’s the link.